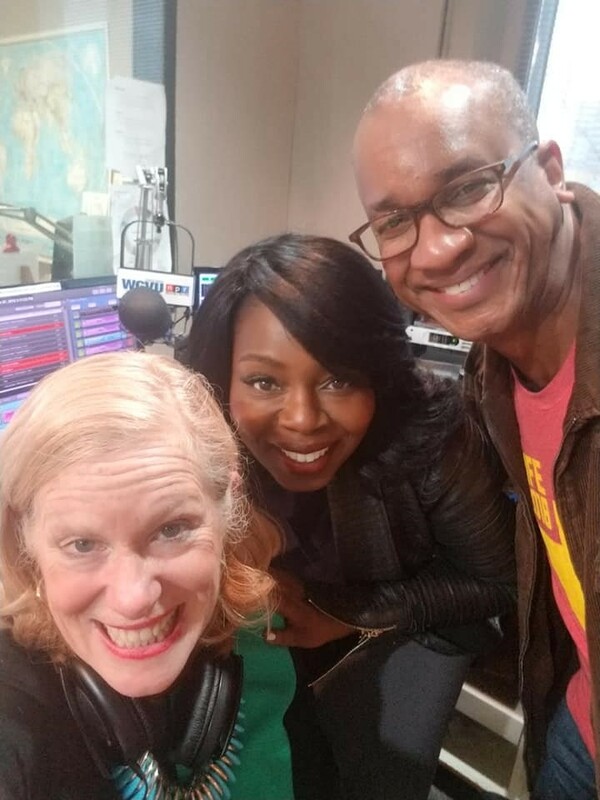 The Founder of The Mosaic Film Experience Skot Welch, along with Home Box Office (HBO) executive Carla Moore stopped by the WGVU Morning Show to discuss Carla’s new book “Crash! : Leading Through the Wreckage: Using Personal Power to Transform Your Leadership” and the 2018 Mosaic Film Experience. Carla Moore currently serves as Vice President of Sales Strategy and Education for HBO in New York. She began her career with HBO as an entry-level sales trainer 20 years ago and worked her way up, working in multiple departments. Carla is an active public speaker, delivering conference keynotes and facilitating workshops on a variety of subjects, including her passion– activating personal power. Shelley Irwin: We talk about the Mosaic Film Experience frequently, using the platform of digital media to provide students with an opportunity to tell their unique stories and equip them obviously with critical thinking collaborative and creative skills necessary for career preparedness. And boy this experience has been busy this week. Skot Welch, of course, co-founder extraordinaire doing great things with the special guest today. Good morning to you. Skot Welch: Thanks so much Shelley it’s great to be here. Shelley Irwin: So we’re riding the elevator up, remind me about the Mosaic Film Experience. Skot Welch: So it was really an idea that I had on a napkin some seven years ago. I got just a group of amazing people around it, and essentially it’s the premise as you said – the four Cs. Through the modality of using mobile devices, we ask our young people high school, college, and now middle school kids to make a film that’s thematically based with a prop and the purpose of it is critical thinking, creativity, collaboration, with career preparedness. Because we know that in the global marketplace one of the biggest needs that we need our young people to have is they need to be able to problem solve on a high level, and we think film is a great avenue to do that. Shelley Irwin: Carla Moore welcome to West Michigan… Active public speaker, delivering conference keynotes, facilitating workshops, and an author. What’s the title of your book? Shelley Irwin: In a nutshell tell me a little bit about you. Carla Moore: … So I’ve been with HBO 20 years. I am head of sales strategy there; I’m also an author, speaker, and certified transformation coach. My goal is to help leaders capture this notion of enlightened leadership. This idea of getting to who you are, what you’re here to do, and what you’re in it for getting to your greatness so you can have your teams and others be great. Shelley Irwin: “Crash!,” and it’s out on Amazon and where all books are sold. Have you been busy in West Michigan, have we put you to work? Carla Moore: Skot has put me to work, he always does. It’s been fantastic. We welcome the kids, we had a few minutes with them, and we also just completed an incredible business lunch with Network of Executive Women – over a hundred executive business women and men in the packaged goods industry. We’re talking about leadership strategies and how to elevate and make our leadership more impactful and meaningful for ourselves and our teams and others. Shelley Irwin: What do you see in your leaders? What do you want to see in your leaders? Carla Moore: One of the big things that I talk about… is this idea of clarity and awareness around this self-enlightenment. I find that the best leaders, in fact, what I’ve learned and what I know from experience is that the quality and impact of one’s leadership is directly correlated to how clear and aware you are about who you are as a person. So, the clarity awareness you have around will free you up, and there is no longer a need to compete and prove. When You understand your own purpose in your assignment, you can now use that energy to help others become clear on who they are and lead them to their greatness. Shelley Irwin: And often that comes just with time and doing, and making a mistake or not making mistakes? Shelley Irwin: Skot Welch would you comment on that? Carla Moore: We have to start early. That’s why we absolutely have to come and talk to younger audiences because we do not only talk about passion and purpose but [also] …their skill sets. In fact, soft skills are becoming the new hard skills. Yes, we understand technical and functional expertise, but we need to teach kids creative problem solving, resilience, how to think on their feet, how to solve, and find grit, and how to find multiple solutions to problems. That is what we’re looking for, that is what I talk to young audiences about because those are critical skills of future leaders. Shelley Irwin: …And again the book “Crash! : Leading Through the Wreckage Using Personal Power to Transform Your Leadership.” What’s your take away message, Carla? Carla Moore: Get to know you. Know yourself know who you are, what you’re here to do, and what you’re in it for. Do this, and you will see remarkable changes in your life, in every area, at school, at work, at church, at home, at play.